This YouTuber Recreated Daenerys' Braids And We're Impressed! We couldn't imagine the Mother of Dragons doing this herself, though. The Game of Thrones Season 7 is set to air on July 17 and fans cannot wait! Besides the action, gore, and twisted plots, we will again see the meticulously braided locks of Daenerys Targaryen. 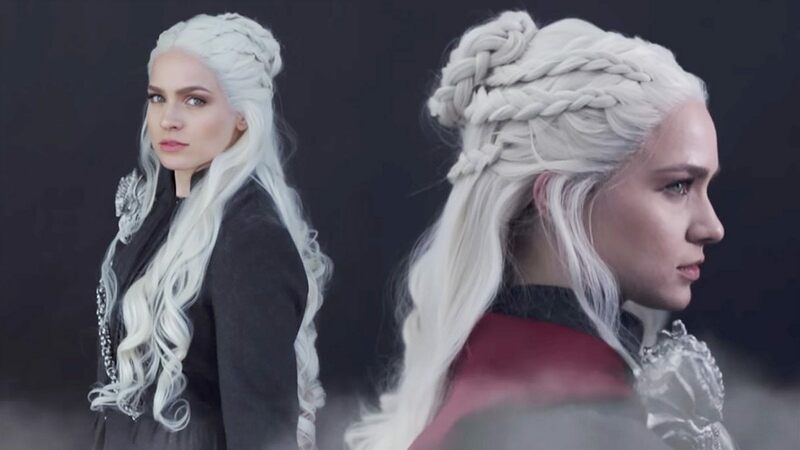 The Mother of Dragons' signature platinum plaits have always mesmerized us, and in the recent teaser, her looked was updated. YouTube hairstyle genius Kailey Melissa decoded how Khaleesi does it—or maybe how her ladies-in-waiting achieve it. If you do want to do this on yourself, we have to warn you: Just like any braided 'do, it takes A LOT of patience and arm strength to recreate this look. Plus, you have to make sure that your locks are tangle-free and hair ties are within your reach. Watch the hair transformation below!